Grave breaches of international humanitarian law constitute war crimes and trigger individual criminal responsibility directly under international law. The destruction of cultural heritage has been considered a war crime under international law for decades, beginning with the Statute of the International Criminal Tribunal for the Former Yugoslavia (ICTY-Statute). Article 3 (d) of the ICTY-Statute criminalises “seizure of, destruction or wilful damage done to institutions dedicated to religion, charity and education, the arts and sciences, historic monuments and works of art and science”. Interpretation of this provision is informed by recourse to Article 27 of the Regulations annexed to Hague Convention IV of 1907, the 1954 Hague Convention and Article 53 of the 1977 Protocol I to the Geneva Conventions (paras 359 to 362, Prosecutor v. Kordić & Čerkez, Trial Chamber Judgment, ICTY). It represents “a violation of values especially protected by the international community” and “since it is a serious violation of international humanitarian law to attack civilian buildings, it is a crime of even greater seriousness to direct an attack on an especially protected site” (paras 46 and 53, Prosecutor v. Jokić, Trial Chamber Judgment, ICTY). In the Blaškić case, one of the ICTY’s Trial Chambers asserted additional requirements of a) such sites not being a military objective or b) being located near such an objective (para 185, Prosecutor v. Blaškić, Trial Chamber judgment, ICTY). A different Trial Chamber later rejected the second notion that the location of a site in the vicinity of a military objective, without the site being a military objective itself, permits its destruction, citing Article 27 of the Regulations annexed to Hague Convention IV of 1907 (para 604, Prosecutor v. Naletilić & Martinović, Trial Chamber Judgment, ICTY). Article 3 (d) reflects customary international law (see para 229-230, Prosecutor v. Strugar, Trial Chamber judgment, ICTY) and by virtue of this status is binding upon all States and all individuals of the world, in international and non-international conflicts, irrespective of any international agreements. In addition to this obligation under customary international law, Articles 8 (2) (b) (ix) and 8 (2) (e) (iv) of the Rome Statute of the International Criminal Court outlaw “intentionally directing attacks against buildings dedicated to religion, education, art, science or charitable purposes, historic monuments, hospitals and places where the sick and wounded are collected, provided they are not military objectives” as a war crime. The provisions in the Rome Statute markedly differ from the ICTY-Statute in that merely directing an attack, even without resulting damage, is sufficient for criminal culpability. The ICC has further ruled it being irrelevant if the attack was part of particular hostilities or not, in battle or not, as long as there is some association with the armed conflict more generally (paras 15 and 18, The Prosecutor v. Ahmad Al Faqi Al Mahdi, Trial Chamber Judgment, ICC). War crimes, crimes against humanity and genocide are prosecuted before the International Criminal Court (ICC). Additionally, national courts may exercise jurisdiction over war crimes, crimes against humanity and genocide under the principle of universal jurisdiction. In 2015 the ICC issued its first ever arrest warrant in a stand-alone case of cultural heritage destruction. The Al Mahdi trial began in 2016 and on 27 September 2016 the defendant was unanimously found guilty by Trial Chamber VIII and sentenced to 9 years of imprisonment for the destruction of nine mausolea and the Sidi Yahia mosque in Timbuktu, Mali (The Prosecutor v. Ahmad Al Faqi Al Mahdi). Regrettably, the ICC does not have territorial jurisdiction over crimes committed within the territory of the Republic of Iraq under Article 12 (2) (a) of the Rome Statute, as the Republic of Iraq is not yet a State Party to the treaty. The Republic of Iraq would need to either ratify the Rome Statute or to accept ad-hoc jurisdiction under Article 12 (3) Rome Statute to enable prosecutions based on a territorial link. The UN Security Council may also refer situations to the Prosecutor acting under Chapter VII of the UN Charter, Article 13 (b) Rome Statute. However, under the active personality principle, Article 12 (2) (b) Rome Statute, the International Criminal Court has jurisdiction over any national of a State Party to the Rome Statute who commits a crime abroad, irrespective of where the crime was committed. The ICC may therefore exercise jurisdiction over foreign fighters of certain nationalities for destroying cultural heritage in Iraq. This jurisdictional void must be filled by national courts, who may apply international law in accordance with their respective constitutional provisions. 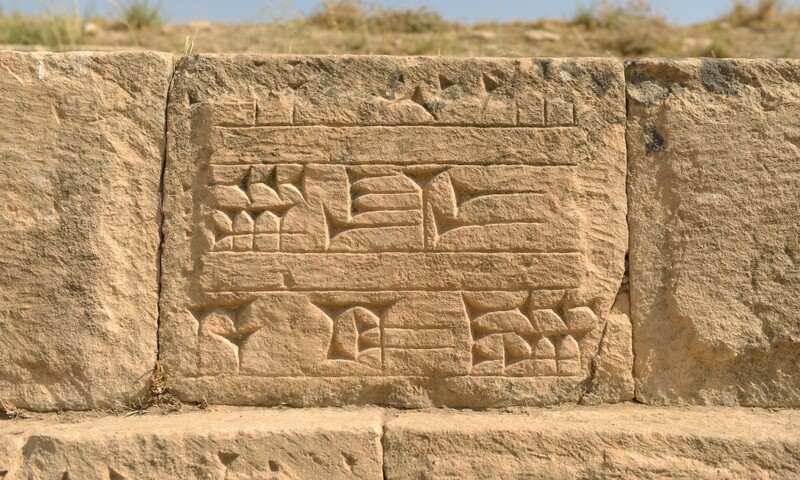 Customary international can serve as the substantive basis for prosecuting the war crime of cultural heritage destruction when national laws themselves do not exist. The principle of universal jurisdiction allows national courts to adjudicate war crimes, no matter where in the world they happen. Because of this, States may prosecute returning Daesh fighters whenever and wherever evidence permits.